"This is the first time anyone anywhere has successfully engineered and printed an entire heart replete with cells, blood vessels, ventricles and chambers", lead researcher Tal Dvir, a material scientist and professor of molecular cell biology at TAU, said in a news release. 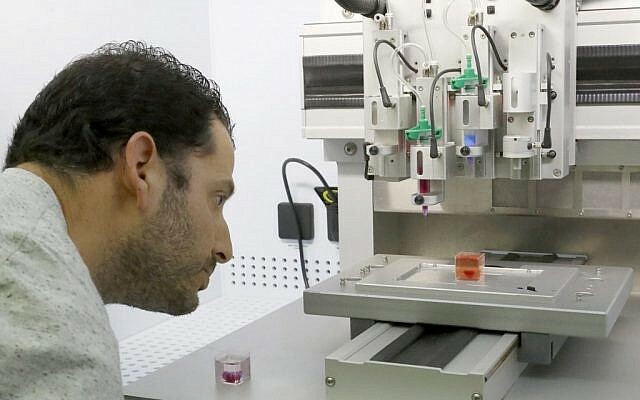 "The method we have developed will allow us in the future to print a heart of any size required from the human tissue of patients themselves, meaning that the body will not reject it", Dvir said. Although the 3D human heart represents a promising step towards transplant engineering, further research is needed. Dvir said. Re-producing human-size hearts will require the same technology but significantly more time. The cells are now able to contract, but do not yet have the ability to pump. As it continues to be redesigned to better reflect human anatomy, scientists are intrigued by the potential for 3D heart printing to become a widespread, life-saving technique in medical centers around the world. The researchers took a fatty tissue biopsy from a patient and separated the cellular and noncellular materials, according to the study. Cells were mixed with the hydrogel and then differentiated into cardiac or endothelial cells (those that line the interior surface of blood and lymphatic vessels) to create patient-specific, immune-compatible cardiac patches complete with blood vessels and, ultimately, an entire heart bioengineered from "native" patient-specific materials. Given the dire shortage of heart donors, the need to develop new approaches to regenerate the diseased heart is urgent. As stated in the abstract of the study, "These results demonstrate the potential of the approach for engineering personalized tissues and organs, or for drug screening in an appropriate anatomical structure and patient‐specific biochemical microenvironment". Dvir says. They then plan to transplant the 3D-printed heart in animal models. The hope is that within "10 years, there will be organ printers in the finest hospitals around the world, and these procedures will be conducted routinely", Dvir said. Note: material may have been edited for length and content.